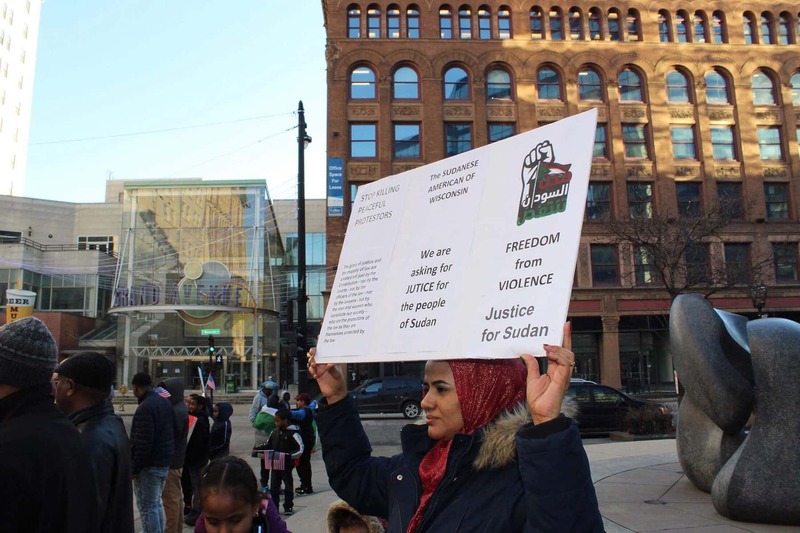 Organizers and community leaders around Milwaukee gathered for a peaceful protest on January 4 to show solidarity for Sudan. 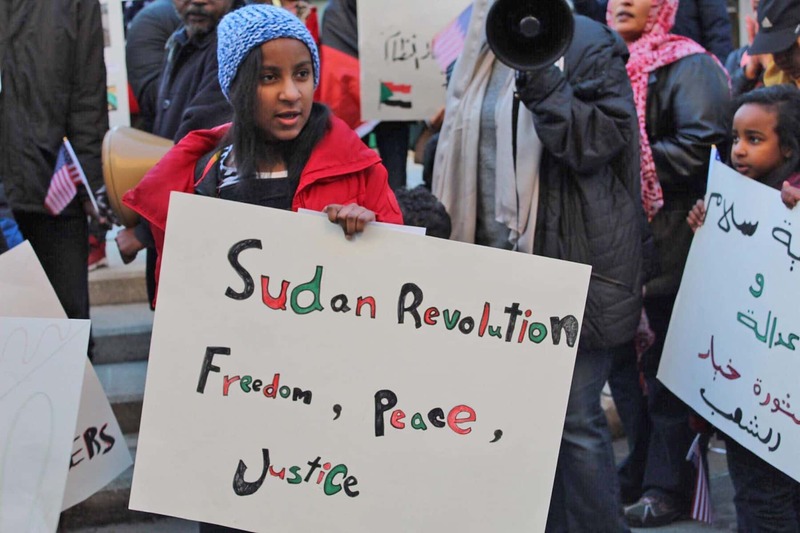 After 30 years of dictatorship by Omar Al-Bashir, people are coming together to revolt against the killing of innocent children and civilians, increasing prices on basic necessities and bank accounts being frozen. 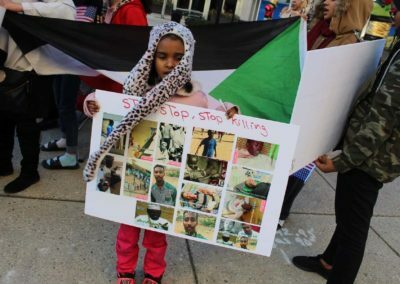 Milwaukee organizers Yasmine and Mohammad discussed with the Wisconsin Muslim Journal the importance of this protest and how Milwaukee efforts can help support Sudan in their time of extreme suffering. 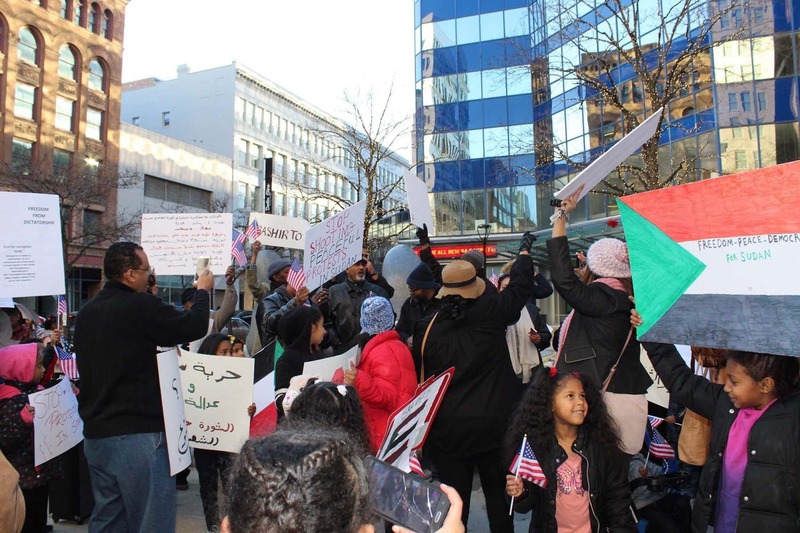 Wisconsin Muslim Journal: What was the importance of organizing a protest like this in Milwaukee? 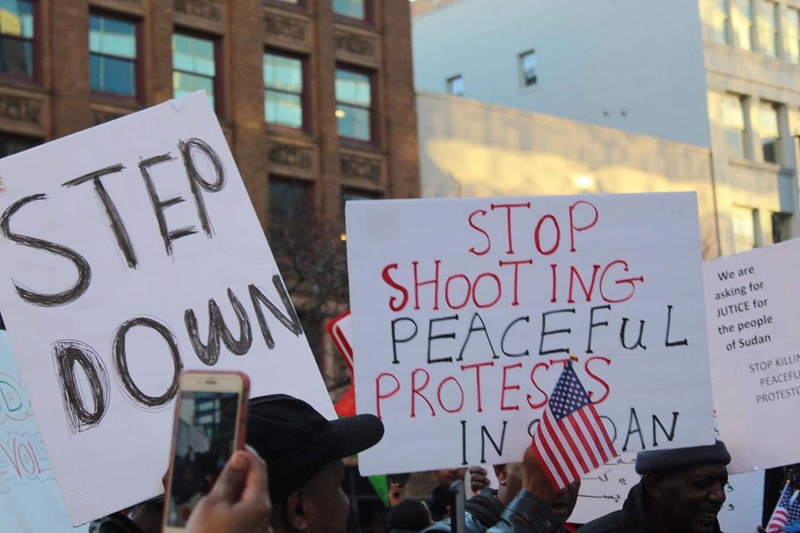 Yasmine Aama: Protests, such as the one currently happening in Sudan are important because history shows that in order to spark change, we must act. We’ve seen this with Gandhi, Nelson Mandela, etc. Somehow, Omar Al-Bashir has managed to rule Sudan for thirty years all while leading the country to corruption and economic decline all while profiting off the misfortune of others. People in Sudan are suffering from not being able to afford basic necessities as there is no money and costs are continuously rising to live in unbearable conditions. 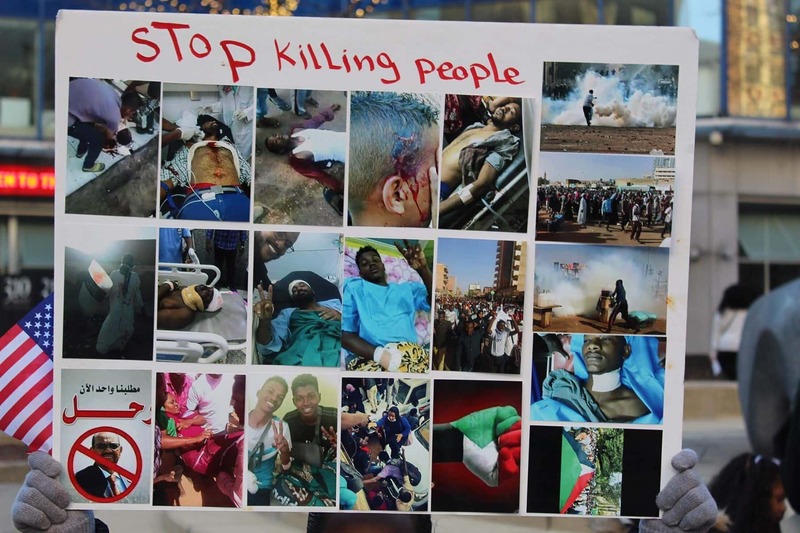 So, here are the people of Sudan attempting to restore their country through peaceful means and they are unfortunately being attacked and murdered. 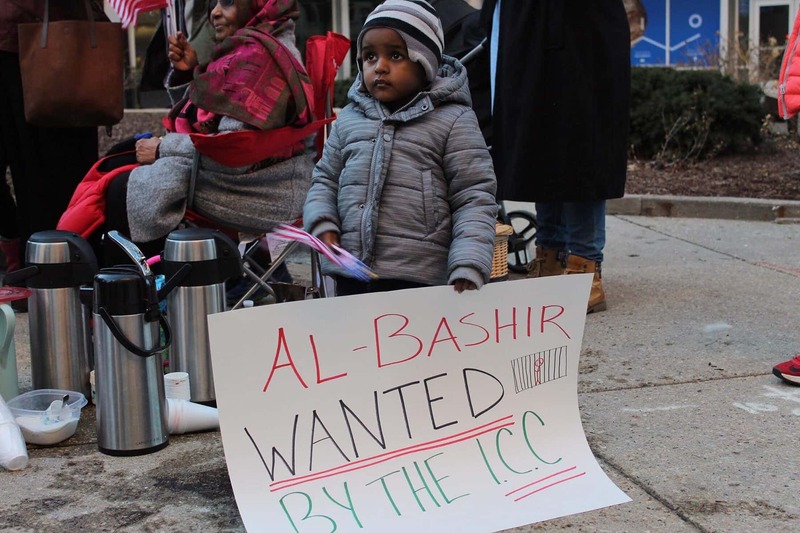 Mohamed Elsir: One of the primary reasons for a protest like this is to bring awareness to the corruption currently occurring in Sudan by the Omar Al-Bashir regime. The Sudanese people have been patient for three decades too long and now want their country back from the dictator, wanted war criminal, murder and thief who ruined the country of Sudan. 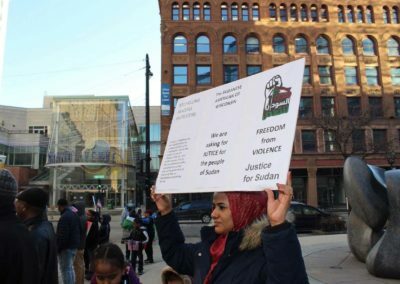 Wisconsin Muslim Journal: What can individuals and the Milwaukee community do to support Sudan? 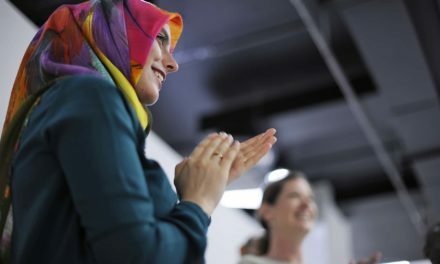 Yasmine Aama: I have my own personal qualms about the Milwaukee community when it comes to supporting issues such as this — more specifically, the Muslim community. 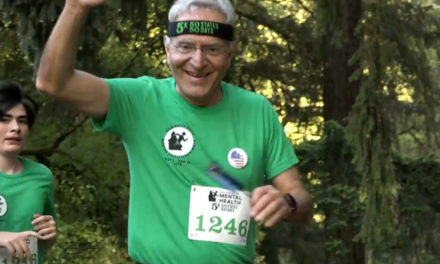 Over the years I’ve seen support go to specific causes and that same energy not given to others. 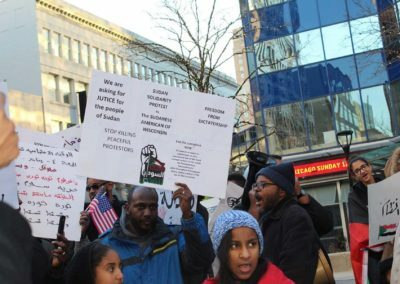 None the less, it would be great if the Sudanese could be shown the same support by people simply educating themselves and using their voice to help increase awareness. Mohamed Elsir: As of right now the most important thing is to keep everyone in Sudan in your prayers. The only thing that will help is having everyone speak up about the injustices that are occurring. 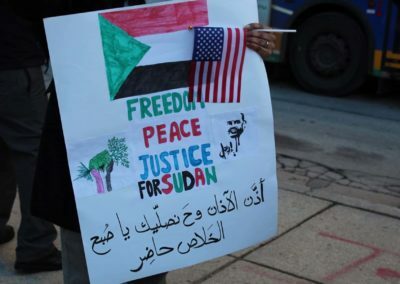 Posting about it on social media and sharing accurate articles from legitimate news sources is also another thing people can do to bring awareness to the current uprising going on in Sudan against the corrupt government. This uprising has been underreported and I really want everyone to at least speak out about it and contact any reporters, journalists, news outlets about the matter. A number of hashtags are out there both in English and Arabic that people can use if they want to tweet or post about the topic (which would be greatly appreciated). #SudanRevolts #SudanUprising #Sudan_Uprising #مدن_السـودان_تنتفض are a few. 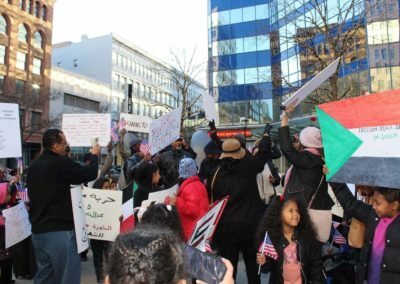 Wisconsin Muslim Journal: What was the experience like to participate and coordinate these awareness efforts? Yasmine Aama: My participation in coordinating the protest made me feel like I was making an impact. Again, I was already raising awareness through Instagram since day one, so being able to coordinate an event that would reach a larger audience was somewhat rewarding. I definitely haven’t seen anything about through mainstream media, which is expected and there are many people who are not aware of what’s going on. However, I have faith that our voices will be heard, Bashir will be overthrown, and Sudan will be able to rise again. Mohamed Elsir: There are numerous emotions that one feels when coordinating efforts for a cause that is so dear. 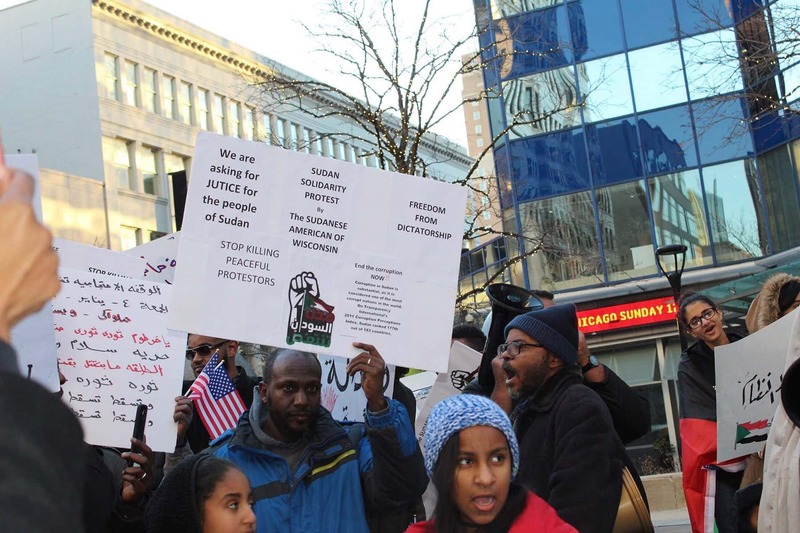 It felt really good to bring the Sudanese Community of Milwaukee to come out and support the revolution taking place in Sudan. 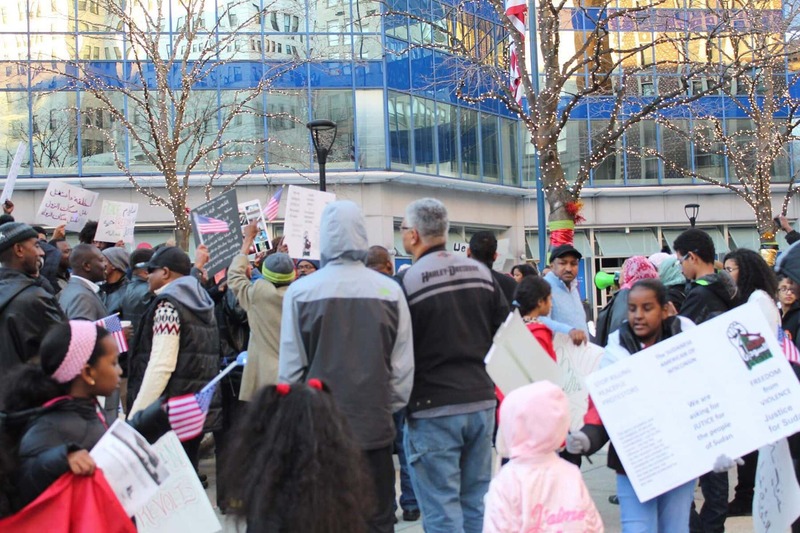 Seeing children of all ages with their parents, friends, and work colleagues all standing united was a great site to see. However, it is also heart breaking because this is the least we can do is to speak out and bring this issue to light. 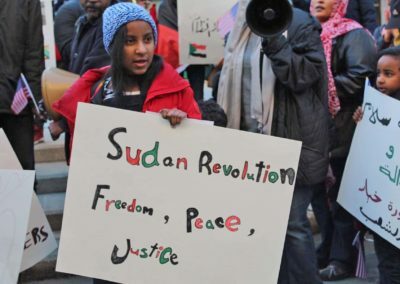 Meanwhile, young children in Sudan are dying because they are practicing their freedom of speech and right to protest and that is not acceptable. The Sudanese people are exhausted and tired of being ruled for 30 years by a man that is not moving the country and it’s people forward. 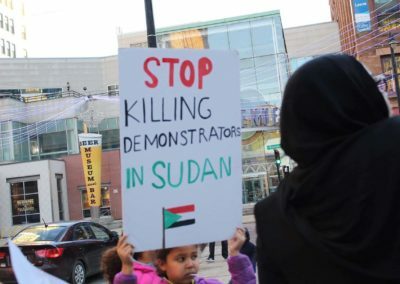 Jobs don’t exist, living conditions are unbearable, hundreds of thousands of people are dying all because the dictator in charge does not want to share the wealth, as the people of Sudan continue to suffer. 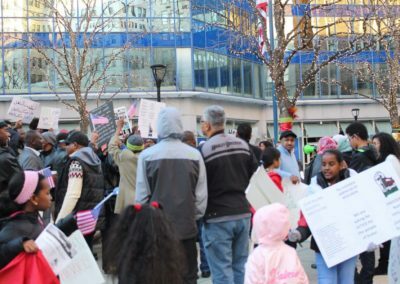 This protest was to empower the people of Sudan and to tell them that we hear you. To tell them America is with you and we are speaking out for you. To let them know to not give up until we get that incompetent dictator to step down once and for all. 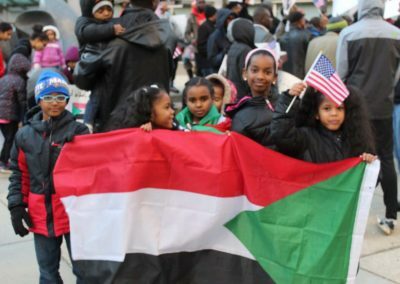 Wisconsin Muslim Journal: How is Milwaukee similar to where you are from Sudan? And, what would you say to people in Milwaukee to care about this situation? 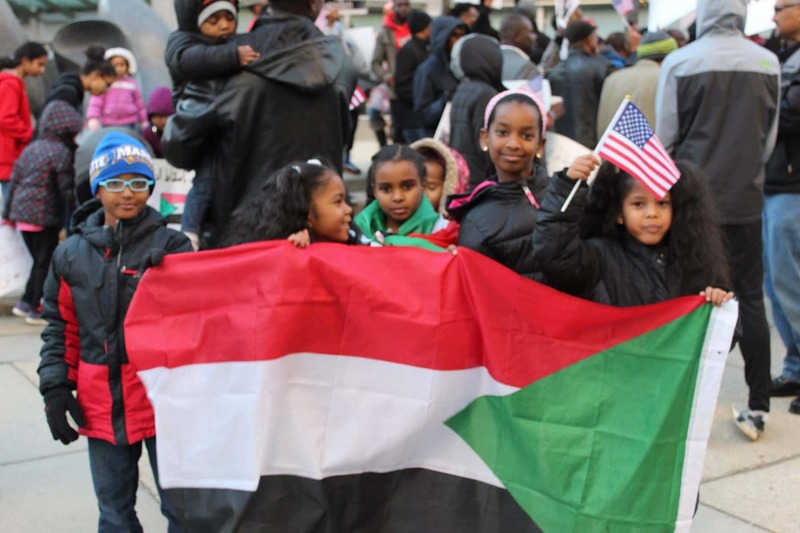 Yasmine Aama: I think both Milwaukee and the U.S. as a whole face similar disparities compared to Sudan, such as poverty, education, and healthcare. 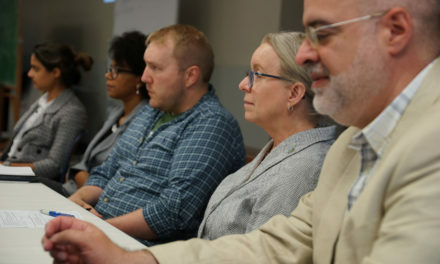 We have elected officials who we’ve entrusted to make situations better, but instead they are taking advantage or making things worse for that matter. Milwaukee should care because this is a humanitarian issue and also, we could be facing the same problem given our current political state. 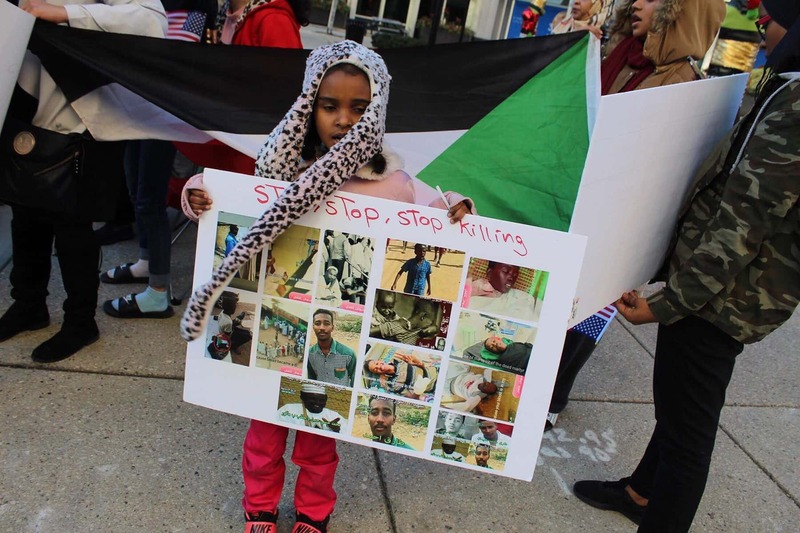 Mohamed Elsir: The community members in Milwaukee should care because I am certain many people can empathize with what is going on in Sudan, especially those from other Muslim/Arab countries. The idea of having a corrupt dictator in power for decades is not something that only the Sudanese people are dealing with. Many Arab countries have dealt and continue to deal with a similar situation. It just so happens that now is the time that the people of Sudan are saying enough is enough. They are fed up with the killing and murder of innocent children, women, and civilians. They had enough of the terrible economic crisis, the lack of adequate healthcare and public education, and the 100% inflation rate. 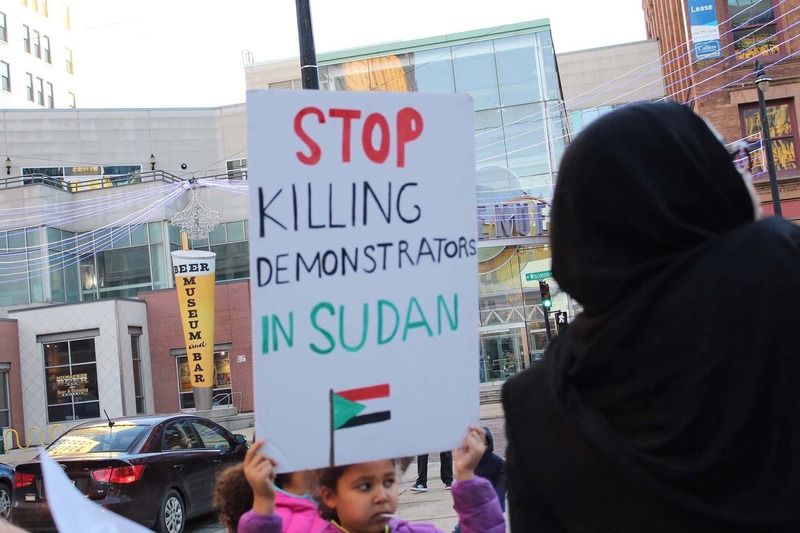 As the president of Sudan Omar Al-Bashir continues to steal the countries money for himself and his family, he is accountable for the death of hundreds of thousands of people. People who are being killed by his armed forces daily. He is accountable for the people that are dying every single day in his pathetic and embarrassing hospitals. 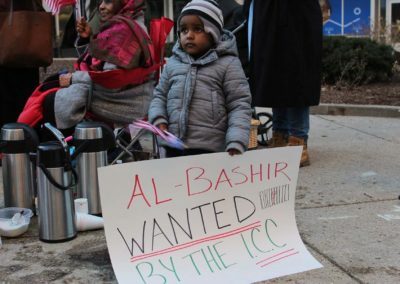 As Omar Al- Bashir continues to murder, steal and get rich, there are people who are making less than $5 a month and cannot even put food on the table for their families, yet alone afford electricity and housing. 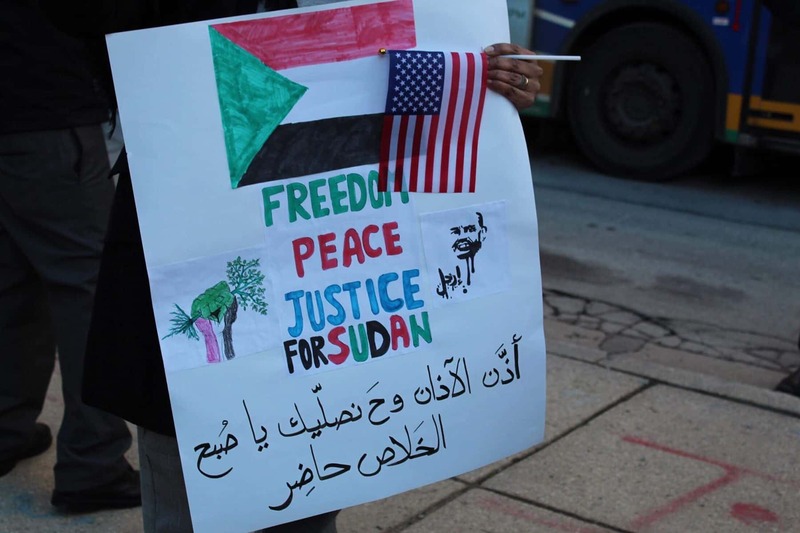 Sudan has been in a state of unrest since December 19, 2018, as the Sudanese people are protesting the worsening conditions in their country. The Sudanese President, Omar al-Bashir, has been in power since a coup d’etat in 1989 and since then, the country has been in an economic downfall. Amidst a weakening currency (In January 2009, the Sudanese Pound used to convert to $0.45 USD, and now it converts to just over $0.02 USD) and rising costs for day-to-day necessities, the anger of the people has bubbled over and manifested in the form of widespread protests. Despite being met with tear gas and other means of dispersion, protestors have continued to take to the streets, risking their lives daily, so much so that at least 40 people have been killed according to local activists. Imagine you want to go to the bank to take out cash from your own bank account, but you have to wait hours just to be told that there is no cash available. This is the reality for scores in Sudan at the moment. There has also been a spike in the price of bread (aesh in Sudanese Arabic which translates to the root word of life) due to shortages, and people are left with very little to no food. Uncertainty and instability have been steadily growing, and coupled with corruption, the average man has had enough. 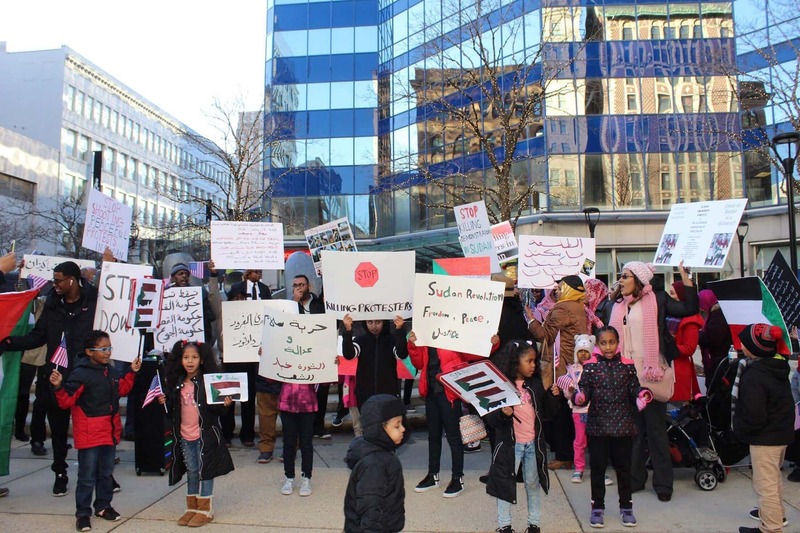 They believe that President Omar al-Bashir has had his day, and that now, power must be handed to someone willing to work for the benefit of the people. The middle class is shrinking, and people are becoming poorer. What once was a country that was on the receiving end of migrants from East Africa, is now one reeling from its own uncertainty and distress. 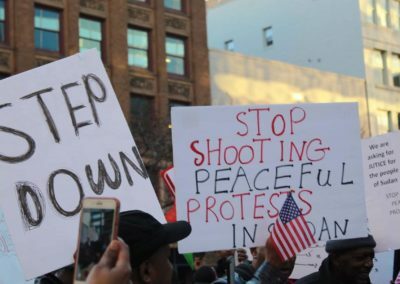 The government of Sudan, including President Al-Bashir, are calling the protestors criminals and vandals, taking a page right out of any dictator’s handbook; a clear signifier of a man desperately clinging to power. Government forces have retaliated against the protestors by shooting live ammunition, killing at least 40 people, many of whom are students, professionals, and activists that are demanding change. There have been many calls for President Al-Bashir to step down, but he has stood his ground with utmost stubbornness. 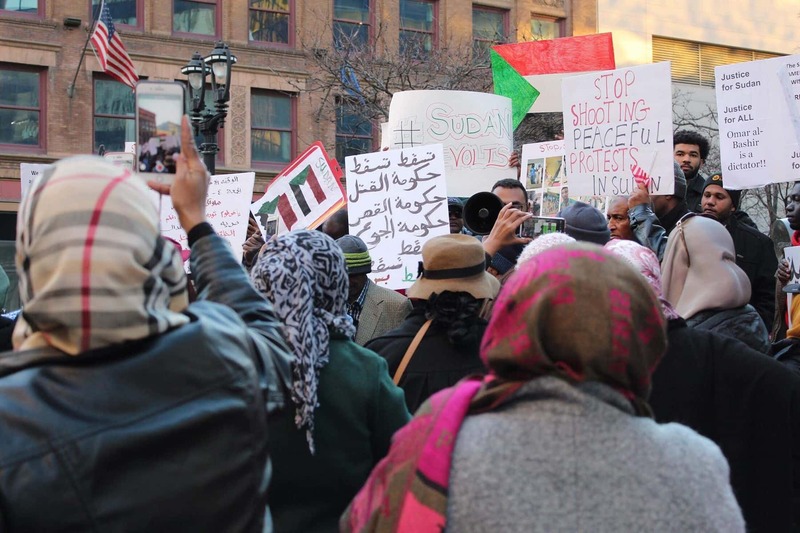 He has said that the economic problems of Sudan will not be solved by “vandalism,” once again trivializing those protesting for change by labelling them criminals.